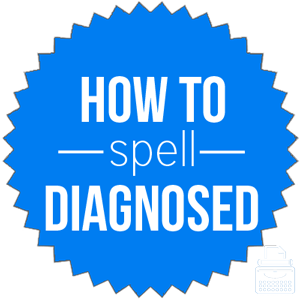 Spelling of Diagnosed: Diagnosed is spelled d-i-a-g-n-o-s-e-d. Definition of Diagnosed: The word diagnosed is the past tense form of diagnose. To diagnose something is to determine or recognize (something) based on signs and symptoms. It also means to analyze the cause or nature of (something). Most commonly, doctors diagnose patients, meaning they determine the disease or condition from which a patient is suffering. What does diagnosed mean? The word diagnosed is the past tense form of the verb diagnose. This word can be used transitively and intransitively. To diagnose someone or something involves identifying a disease, problem, etc., by diagnosis—observing the symptoms and signs. When my close relative was diagnosed with cancer, we all just sat around and cried and held each other. My aunt had already been diagnosed by several doctors, but she was unhappy with the diagnosis, so she continued to get second opinions from other doctors. To diagnose also refers to analyzing the nature or cause of something and making a diagnosis. Let’s take it to the auto shop to have the engine problem diagnosed by a professional mechanic. Even though a psychologist had already diagnosed the reason for the nightmares, my friend sought out a dream interpreter for further information. Diagnosed with: a phrase often used when telling someone about one’s diagnosis. The word diagnosed was first used in English around the year 1859, according to Merriam-Webster’s. The word diagnosed is from the present verb diagnose. The word diagnose is a back-formation from the noun, diagnosis. The word diagnosed is a verb; it is the past tense form of the verb diagnose. To diagnose something or someone involves looking at the signs and symptoms and determining the condition or cause.